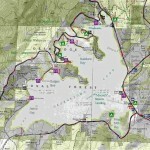 There are 4 forest service designated campgrounds around the lake. 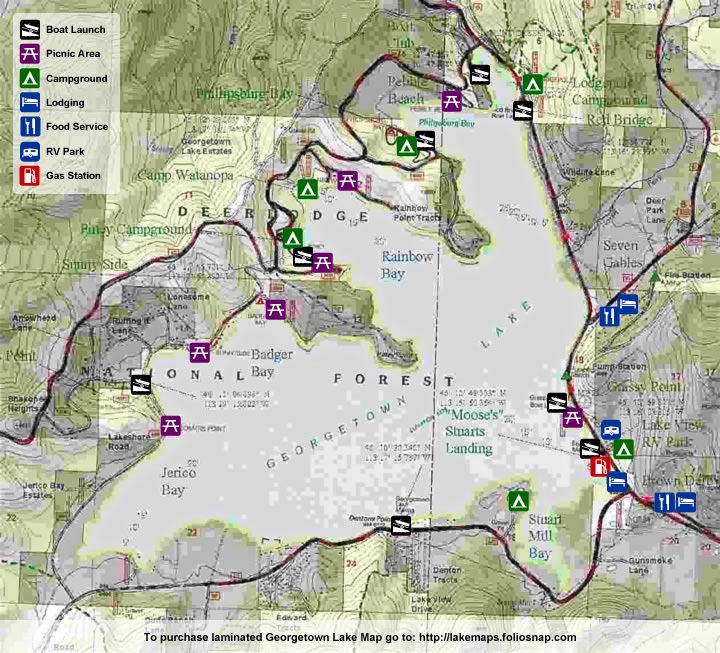 At the southeast corner is Stewarts Mill Bay, on the west side of the lake is Piney Campground, northwest is Philipsburg Bay and on Highway 1, across from the northeast corner of the lake is Lodgepole Campground. There is also Lake View RV Park offering private RV and tent sites across from the southeast part of the lake.